ANNABEL’S TOP WRITING TIP: Join or form a writing group. The feedback and support you’ll get from other writers at a similar career stage will be invaluable and will improve your writing more than anything else. 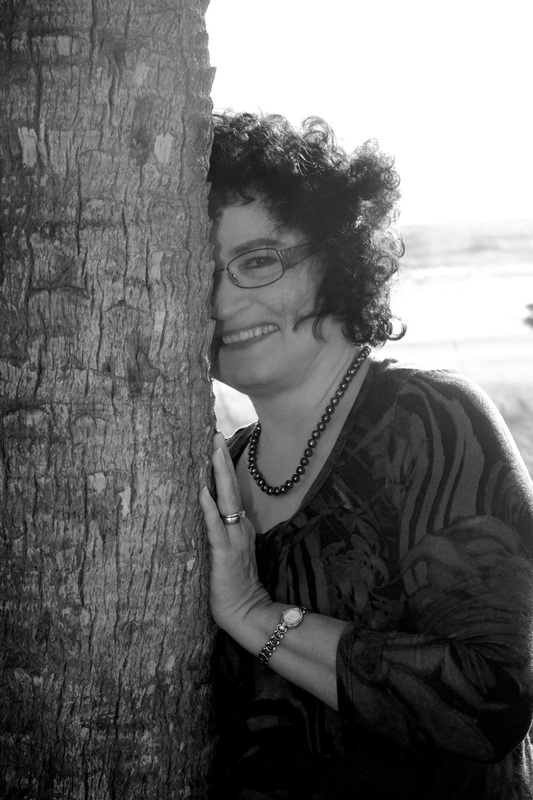 She has been writer-in-residence at Katherine Susannah Prichard Writers Centre and the Fellowship of Australian Writers (WA), had short fiction and commentary published in Westerly and Southerly and holds a PhD in Writing from Edith Cowan University. In 2012 she was selected by the Australia Council as one of five inaugural recipients of a Creative Australia Fellowship for Emerging Artists, for the creation of an interactive app to accompany her experimental speculative fiction The Ark, to be published in 2014. She is currently working on an epic quest with a sci-fi twist featuring a monkey, an evil priestess and the mother of all tsunamis. Why do you write? Quite simply, I’m unhappy if I don’t. What would you be doing if you weren’t a writer? Ideally I would be a lady of leisure – pilates, lunch with the girls etc. More likely I would return to my former job as a teacher of English as a Second Language. What was your toughest obstacle to becoming published? The changes in the publishing industry in the last few years have made getting published more difficult than ever before. Consequently I found getting my second novel published more difficult than my first. I attempted first to find an agent, and then when that was unsuccessful, I began sending my manuscript to small independent presses. It took three years and 17 rejections before I was offered a contract. What’s the best aspect of your writing life? What a hard question. There are so many things I love about my writing life it’s hard to choose one favourite. The satisfaction of crafting a sentence or paragraph that I’m very happy with would have to be up there; also the pleasure of receiving feedback from a reader who says my books have touched them in some ways is very special. —the worst? The fact that rejection is just part of the process – sometimes that’s hard to take. What do you wish you’d been told before you set out to become an author? Ignore the instructions from publishers and agents that insist you only submit to one organisation at a time. Submitting to several simultaneously is a much better strategy. 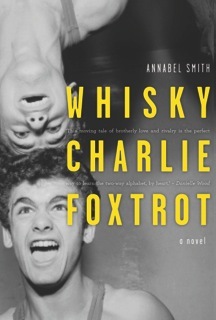 It is less than twenty-four hours since Charlie received the phone call from his mother and in those hours his only thought has been that Whisky must not die. He must not die because he, Charlie, needs more time. He and Whisky have not been friends, have not talked or laughed together for months, years. But he has never thought it will end like this. He has always thought there will be time. FRANCESCA’S TOP WRITING TIP: In following advice from writers, feel free to discard what doesn’t work for you. I’ve listened to lots of interviews with writers and read even more, and people are hugely different. This one gets up at dawn and writes for an hour every day; that one only writes on weekends. This one outlines everything; that one feels outlines kill creativity. This one swears by writing groups; that one was scarred by them. About the only universal truth is that you do have to write to be a writer, so embrace the things that help you do that. But maybe that’s not a very helpful tip—in which case I’d go back to the best piece of advice I was ever given and say, read broadly! Why do you write? You know how so many good things are even better if you can share them with someone? You hear a beautiful song, and you want your friends to hear it, or you taste a delicious dessert and want everyone else to be able to enjoy it too. It’s like this for me with the stories in my head. I have these stories, these ideas, and I desperately want to share them. So I write. I want the story that’s alive in my own mind to live in other people’s minds, too. What would you be doing if you weren’t a writer? I really believe in the power of storytelling outside of the official role of writer. We’ve all known great storytellers (it could be a grandparent, an old neighbour, the class clown at school) who never put a word on paper, but who could hold you spellbound when they started weaving their tale. Even though the stories they tell seem ephemeral—gone as soon as they tell them—they often really linger in the mind. They have strength. If for some reason I couldn’t keep on pursuing writing, I hope I’d be one of these storytellers. What was your toughest obstacle to becoming published? My preconceived notions regarding publication were my toughest obstacle. These days, there are many ways to be published: you can publish with a major publishing house, a small independent press, or you can self publish; you can publish a physical book, an e-book, or both. You can serialise a story online. And, you can choose one route for one project and another route for another project. All the forms of publication involve difficulties. I had to learn to be flexible, and I also had to recognise that no matter what route I took, it wasn’t going to be easy. What’s the best aspect of your writing life? I love the actual business of writing. I love turning scenes over in my mind, playing with dialogue, images, sensory details, the order in which events are going to unfold, and figuring out what works best. Some people dislike revision, but I love revision. I love going over a scene and finding a way to make it better. —the worst? It’s very frustrating and depressing when a story doesn’t gel, when I work on something for a while and see that it’s just not going anywhere. Nothing’s ever really lost—you can recycle ideas later, and the experience you gain in any attempt is always useful—but I hate the moment when I realise that I should abandon some particular thing I’m working on. What would you do differently if you were starting out now as a writer? In a sense, I feel as if I am only just starting out now. I wrote a lot as a child and adolescent, but largely stopped when I was in college and bringing up small children. It’s only been in the past six years that I’ve gotten back to writing seriously. To answer a slightly different question, if I could do something differently with my life overall, I would never have let my writing slide—I would have kept at it during those small-children years. What do you wish you’d been told before you set out to become an author? My father’s a writer, so I don’t feel like I was confronted by many surprises: I knew what I was getting into. I guess it would have been reassuring to know that I actually *would* have the tenacity to keep going—that in the absence of miracles, I’d be able to put in the hard work . . . and that sometimes there would be miracles, just not necessarily in the form or places I was expecting. What’s the best advice you were ever given? To read broadly. I really think the absolute best way to improve as a writer is to read, and to read many different sorts of books. It’s amazing what people can do with language; it’s amazing the way stories can be told. You can apprentice yourself in writing by reading. Pen Pal starts with a message in a bottle and ends with revolution. Em, a child from a floating community off the US Gulf Coast, drops a message into the sea. It ends up in the hands of Kaya, an activist on the other side of the world, imprisoned above the molten lava of the Ruby Lake. Em and Kaya are both living precarious lives, at the mercy of societal, natural, and perhaps supernatural forces beyond their control. Kaya’s letters inspire Em, and Em’s comfort Kaya—but soon their correspondence becomes more than personal. Individual lives, communities, and the fate of an entire nation will be changed by this exchange of letters. 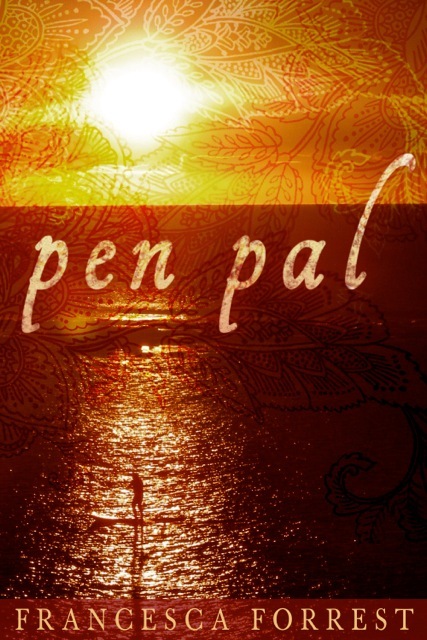 Pen Pal is a story of friendship and bravery across age, distance, and culture, at the intersection of the natural and supernatural world. ANNETTE’S TOP WRITING TIP: Sit down, write, finish the book. Find a writer’s group or organisation and join. Interacting with other writers is greatly beneficial, even if they aren’t writing in the same genre you are. Annette Mahon is a former librarian who likes to think that she’s moved from tending the library shelves to filling them, as both of her early publishers sold primarily to the library market. Annette writes the St. Rose Quilting Bee mystery series where a group of quilters in Scottsdale, Arizona, solve mysteries over the quilt frame, and sweet romances set in her native Hawaii. 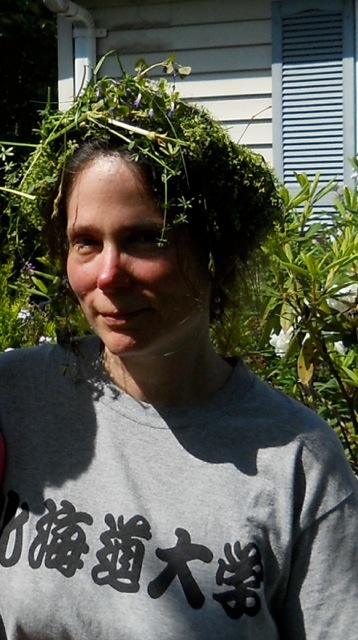 She currently lives in Arizona, USA, with her husband and spoiled Australian Shepherds. 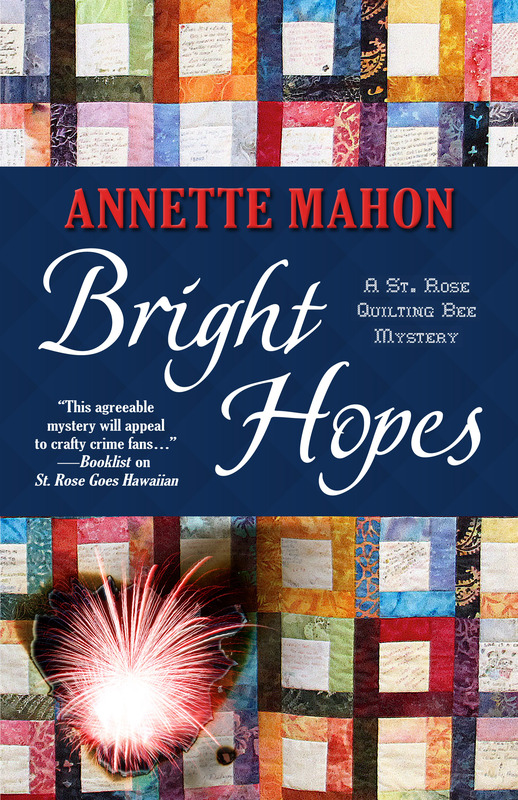 Her latest St. Rose Quilting Bee mystery is Bright Hopes, due out in September 2014. Why do you write? I can’t NOT write. I’ve always heard a voice in my head, telling stories, narrating my life. Once I started writing stories, I can’t imagine not doing it. What would you be doing if you weren’t a writer? I worked as a librarian before I became a stay-at-home mother, and I enjoyed that very much. I’m sure I’d still be doing that. What was your toughest obstacle to becoming published? My own procrastination. I’ve never been able to commit to a full day of sitting at the computer. For me, four hours of writing time is doing a good day’s work. What’s the best aspect of your writing life? The friends I’ve made among other writers, and seeing my books on the library shelves. –the worst? Agonizing over those new pages! What would you do differently if you were starting out now as a writer? I don’t know that I would do anything differently, as I know myself and how I work. However, it would probably be easier now just because of the internet and the simplicity of finding information. For example, you no longer have to write to each publisher for tip sheets, as all that information is available on their websites. What do you wish you’d been told before you set out to become an author? I don’t really have an answer to this, as I was pretty well informed early on. I was lucky enough to discover RWA where there were many authors ready to offer tips and advice. What’s the best advice you were ever given? Finish the book. When I began, many people recommended just doing “partials” to send out and not spending all the time finishing a book that no one wanted. However, new writers rarely, if ever, sell a first book on a partial, so it is essential to finish the manuscript. NORMAN’S TOP WRITING TIP: Give it a go. What have you got lose, other than a little dignity and a small hit to the self–esteem if your story is not accepted? 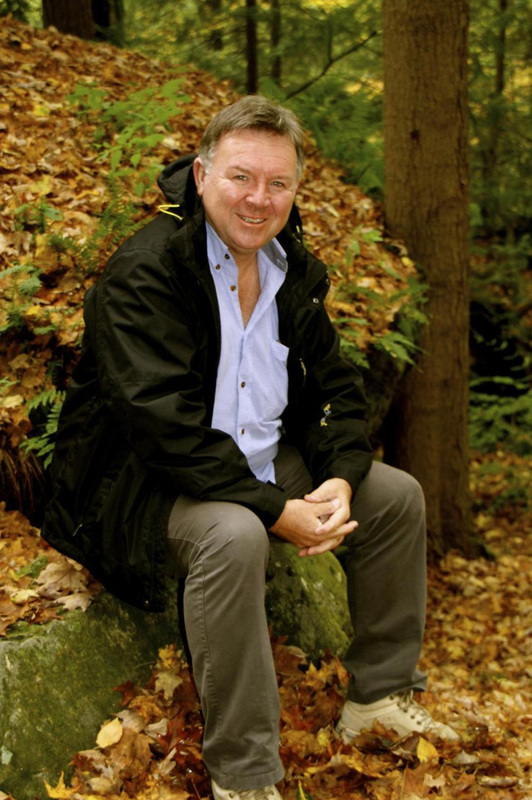 Norman Jorgensen is one of Western Australia’s most versatile authors for young people, with 10 books published, including the highly regarded In Flanders Fields, and several more nearing completion. He is one of only three Western Australians ever to have received the prestigious Children’s Book Council Book of the Year Award in its 60-year history. He has been short-listed twice for both the WA Premier’s Book Awards and the WA Young Readers’ Book Awards and he has been honoured by the ASPCA Henry Burgh Awards in the United States. Norman was born in Broome in 1954 when his father was the sole Post Master General Department’s Technician for the entire North West and lived there, blissfully, until his father was transferred to Mullewa then Narrogin and eventually Perth, where he now lives with his wife Jan, an enthusiastic children’s book devotee. He has a deep love of books and literature and has worked in the book trade for much of his life, as a school book seller, publisher’s agent and as a bookshop owner, where he experienced the dubious joys of small business ownership. His novel Jack’s Island, set on Rottnest Island during World War II has been well received, not only by teenagers who study it at school, but also by their parents and grandparents who seem to appreciate the way he accurately captured a simpler, more gentle Western Australia. 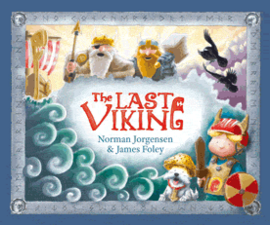 His picture book with James Foley, The Last Viking has been well-loved by thousands of children and has won six awards. The sequel The Return of the Last Viking will be published in October 2014. Norman is proud that his books are nearly always set firmly in Western Australia in a landscape that is recognisable to his readers and pleased that his young fans are still able to enjoy his work even though it is not set in Springfield, a rather unusual English boarding school, nor vampire-invested Forks, Washington. Why do you write? I love the creative side of the story making. I love seeing how a single word or a sudden flash of just one small idea can grow and expand until the sentences, paragraphs and chapters all add up to become a recognisable book with interesting characters and setting and conflicts. Jack’s Island developed from hearing someone being called a dafty. A Fine Mess was sparked by a poster of old comedians Laurel and Hardy hanging perilously off a building. The Last Viking was sparked years before when my nephew added horns to his bike helmet, but not developed until I saw James Foley’s illustrating style and asked if he would draw a boy Viking. What would you be doing if you weren’t a writer? Judging by my recent efforts, I’d probably be a Professional Facebooker. I gather the working conditions and annual holidays are reasonable, but the wages are virtually non-existent. What was your toughest obstacle to becoming published? Trying to think and sound like a real12 year old and one who was 12 now, and not my vaguely remembered version of what it was like when I was that age. If my story was going to appeal to the audience I was aiming at, I had to get that basic problem sorted first off. So often I would add in references that amused me but no modern kid would have any idea at all. When the first manuscript had its 1960s gloss removed, and did not sound condescending, it had a much better chance of being considered for publication. What’s the best aspect of your writing life? I really like living in a magical made-up world with imaginary friends (and enemies) who I can actually push around. When I’m bored or alone, I love being able to drift off into my head to my latest pretend landscape and watch what my characters are all up to. I don’t have as much control over them as you would expect, and I’m often surprised to see what they do and what happens next. They can be such an obstinate bunch of man-made souls. Working with an illustrator can be a genuine pleasure, and I am amazed at seeing how someone like illustrator, James Foley, can take a whimsical idea we have thrashing about, and with a few quick sketches, suddenly give it life and the possibility of a whole new saga. I find the illustrating process fascinating, and being involved has been an unexpected part of the joy of my profession. And I especially love seeing a new book come out and holding the printed, bound pages with a striking cover for the very first time. It is a wonderful feeling. I like sharing the reaction from audiences of school kids when I read something that appeals to them, and their excitement at meeting me. And I like the special way I get treated by strangers when I say I’m a writer. It is almost a pity my family and friends see just the real me. And I especially love the happy band, we happy few, of other children’s book creators in this state with whom I hang about. Their talent is contagious and they are all so generous in their support of each other. —the worst? Everything else that comes with job – the self salesmanship needed, rejections, having to edit, or be edited, the constant lack of money, writing unsuccessful jargon-filled grant applications, staying in seedy country motels, the uncertainty of knowing if a manuscript is any good or not after having just spent months working on it, revising a story over and over until can’t stand it anymore and can almost recite every damn word, days when only the wrong words land on the screen, being beaten at awards by books you privately think are not that good, reviewers who think all children’s books should convey a message or a moral lesson… Stop me now as I’m sounding like a sad and embittered old man. What would you do differently if you were starting out now as a writer? I would treat my writing more like a business than a hobby and really work harder at it. I would go to typing school, and I would pay more attention to my English teachers at school, especially on the days we did grammar. I would travel more when I was younger so that I’d have more experiences to write about. I would listen more to everyone around me and pay more attention to all my senses. I would read better books, and more of them, so as to learn more from the literary masters and great storytellers. I would learn patience, because the publishing trade is so unbelievably slow and every aspect of the process takes forever. What do you wish you’d been told before you set out to become an author? Writing it not just fun, but takes a lot of effort. Like all creative endeavours, it is said real skill needs a minimum of 10,000 hours of practice. At 20 hours solid writing each week, it will take 10 years to reach that figure, and even then success is not guaranteed, it just gets a little easier to find the words. I wish too, I had been told how much work and time is involved that is not actual writing but promotion. What’s the best advice you were ever given? Carry your notebook at all times. Ideas are fleeting, so need to be written down the minute they pop into your head as they will often never reappear. Great sentences can also arrive at such unexpected moments that unless you write them down they will be lost forever. Write your own story and don’t try following trends. By the time your book is ready, the current trend for vampires or wizards or angels or horse stories or whatever will probably be passed and your book will look a bit sad and unloved on a bookshop shelf along with the other unsold copies of clones of Hunger Games. And secondly, use two characters who talk to each other so that their dialogue can push the story along, instead of writing great long passages of descriptions and sentences that include, and then she… went….did…said, etc. This is actually another way of saying, show, don’t tell. Thirdly, try not to take rejection too personally. Pick ya’self up, dust ya’self down, start all over again, and send your story to another publisher, and another and another.